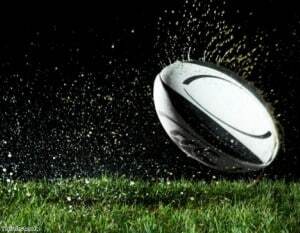 Road safety charity Brake is hoping to boost awareness of the dangers of drinking and driving by encouraging all those planning to attend matches at this year's Rugby World Cup to stay sober if they plan to get behind the wheel. Millions of fans will be watching the home nations in action over the coming weeks and that means all drivers need to be aware of the risks associated with a few drinks while watching the games. Brake is highlighting its 'Not a drag. Not a drop' campaign for all those in attendance at this year's sporting showpiece, and has cited research that shows that approximately 65 road deaths per year are caused by drivers who have had 'one or two drinks', but who remain under the drink-drive limit. As a result, the organisation is calling on all rugby lovers to pledge to avoid alcohol in its entirety when enjoying the sporting spectacle in front of them. Indeed, just one drink can increase an individual's likelihood of being involved in a serious accident by four times. Brake campaigns manager Gary Rae commented: "As a charity that supports bereaved and injured road crash victims, we witness the suffering that drink-driving inflicts, and appeal to everyone to help put a stop to it throughout the Rugby World Cup and beyond. "Drink-driving deaths and injuries are cruel and needless, ending and ruining lives and leaving traumatised families to pick up the pieces." He went on to add that a zero-tolerance stance on drink-driving is now needed by the government, with Westminster officials urged to follow the lead of Scotland and lower the legal limit for alcohol intake for all road users.